Last night I reported, via the Daily Herald, that Provo is getting new commercial flights in February. The flights will connect to the Phoenix-Mesa Gateway airport. Today however, the city formally announced the flights and on the Fly Provo website a new, even lower ticket price of $49.99 was debuted. That’s $20 cheaper than originally reported last night. Three commercial flights a day could currently be handled, after which the terminal must be enlarged. [Mayor John] Curtis believes the terminal will have to be enlarged sooner than later. Allegiant does not sell connecting flights from Phoenix-Mesa Gateway Airport, so customers who would like to travel elsewhere will have to buy two separate tickets, according to Keith Hansen, with Allegiant. He said Allegiant flies to Oakland, Calif., Las Vegas and Hawaii from Mesa, among other cities. The flights will arrive in Provo at 4 p.m. on Mondays and Fridays and depart at 5 p.m. The flight is about 90 minutes. Despite Frontier Airline’s decision to pull out of Provo, commercial service to the city will continue. According to [PR director Carl] Zablotny, Allegiant will begin with two flights in and out a week. Flights will leave on Monday and Friday at 5:35 p.m. and arriving at the Phoenix-Mesa Gateway Airport at 7:05 p.m. Flights to Provo will leave at 3:30 p.m. and arrive at 4:55 p.m. Phoenix-Mesa is about 20 minutes from Phoenix Sky Harbor International Airport. Genelle goes on to say that Allegiant’s planes currently hold 150 passengers. And for now, one way tickets will cost $66.99. [Mayor John] Curtis and Provo Airport manager Steve Gleason have been negotiating for several months with at least six other airlines to bring commercial flights to Provo. For some time there had been talk of flights to the Phoenix area. With that nailed down the next most coveted location is a southern California destination. According to Genelle’s story, flights out of Provo on Allegiant can already be booked. Additional details should be available Wednesday. Frontier Airlines announced today that it will be discontinuing commercial service to and from Provo at the beginning of 2013 due to a reduction in its fleet. While it is hoping the service shutdown will be temporary, bankruptcy reorganization and other issues with the airline may prevent a return of commercial flights to the area. According to Provo Mayor John Curtis, Frontier told him Provo’s success was not at issue and in fact had beat expectations and brought in flight revenues of nearly $1 million when counting the purchase of second leg trips out of Denver. The article cites Mayor Curtis as saying it was a last minute decision and that Provo had even been preparing to expand its terminal. City leaders also reportedly are in talks with other airlines to add another flight, possibly to the West Coast. Mayor Curtis has also blogged about the end of commercial service at the airport. As Genelle’s article indicates, the loss of the flight is a blow for the community. It was also a recurring subject on this blog, with past posts on its surprising bikeability, its role in the city’s economic future, and a variety of other topics. On a more personal note, I enjoyed flying in and out of the Provo airport. It was even one of the many exciting things that happened last year that inspired me to start this blog. Like I’m sure many other people, I hope this doesn’t reflect on Provo’s financial strength. Genelle’s article goes a long way to debunk that idea. But all other reasons for cutting the service aside, it’s hard not to see local economic factors in this development; even if flights from the Provo airport exceeded expectations, the airline apparently was still going to be more profitable without running them. And that’s really the bad news. Last week, I argued that city and aviation officials need to start thinking critically about how people spend their time at the Provo Airport of the future. Then, just yesterday, Fast Company explained how airports around the world are trying to remake themselves as destinations. It’s a very similar idea to the one I was arguing for, and emphasizes the need for airports to be more than sterile, utilitarian transit hubs. And indeed, with increasing fervor, airport owners and developers around the globe are reinventing the airport as a place that people actually want to spend time. 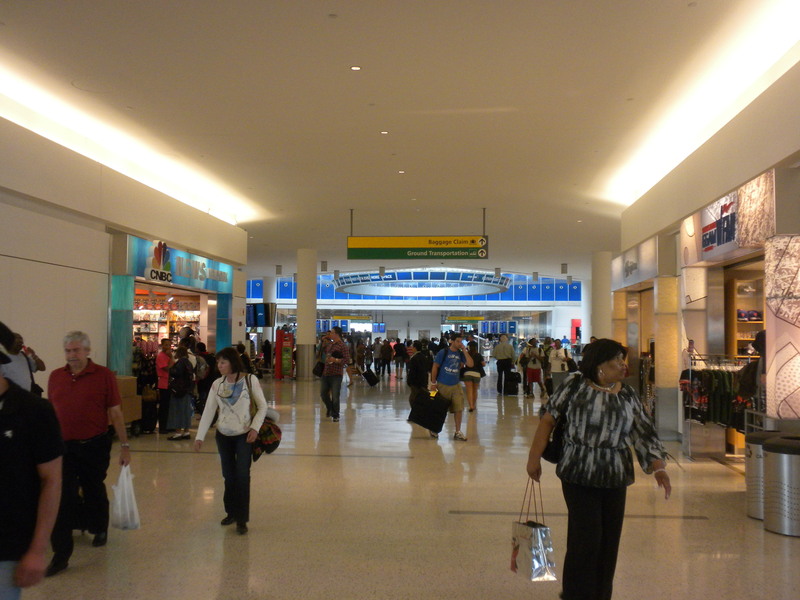 Airport owners and developers learned then that people–even the cost-conscious folks–will indulge themselves at the airport, allowing themselves extra time and, perhaps, a splurge item or two or three. The Provo Airport probably won’t have an Audi showroom, beer gardens, or an IMAX theater — all things mentioned in the article — anytime soon. But that doesn’t mean it can’t be a comfortable place people enjoy. In light of examples mentioned by Hooper, it’s worth considering how to make that happen. What Do You Do While At An Airport? A great airport may be the one that’s least visible. Like a good essay, the bits and pieces aren’t really supposed to call attention to themselves so much as they’re supposed to move users seamlessly from one point to the next. But in reality a great facility can make or break first, or last, impressions of a city. For a small but potentially growing airport like Provo’s, that means opportunities to create an efficient user experience, or to earn a reputation as a city to avoid. 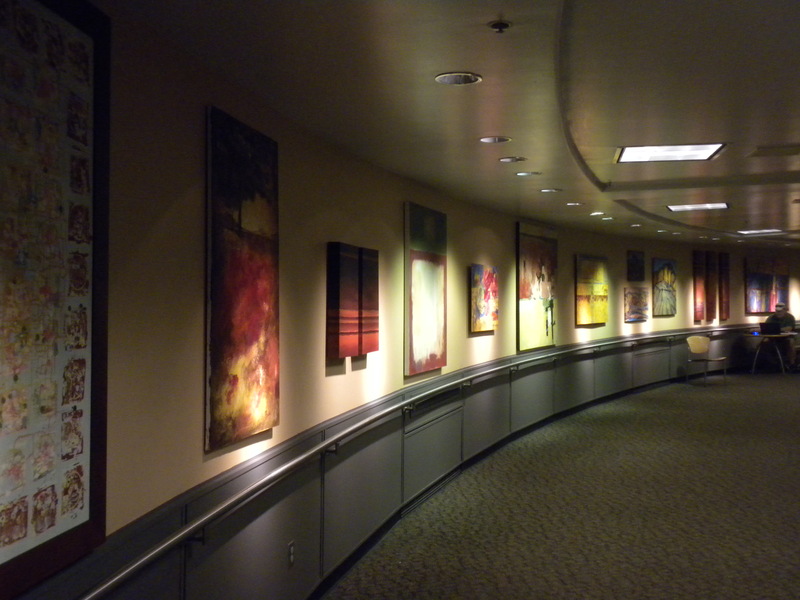 Art in the Salt Lake City airport. 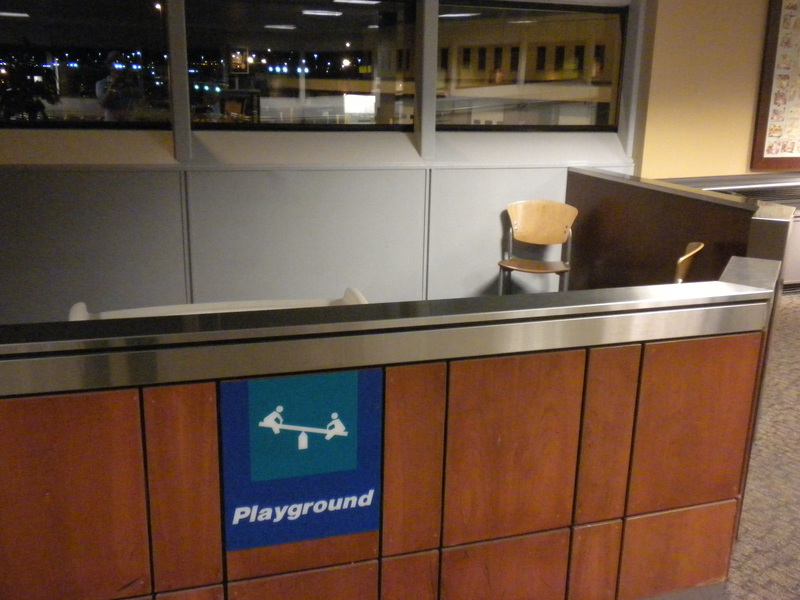 A playground at Salt Lake International. The point: that people in Salt Lake have something to do while waiting for their flights. In other words, boredom is bad and it’s the airport’s responsibility to fight it. If given the choice, I’d probably choose to spend time in this terminal at JFK rather than at Salt Lake International. If I had kids, however, I might prefer the facility with the playground. 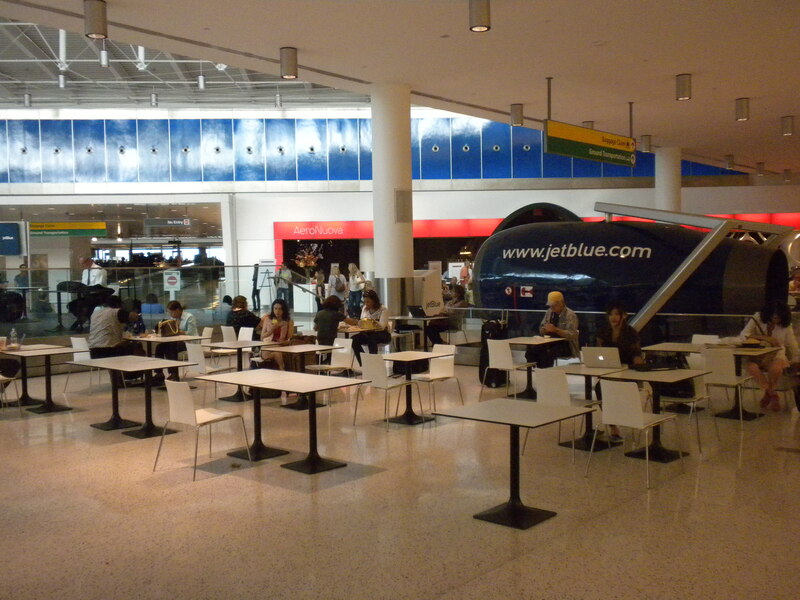 This terminal at JFK feels more like a mall than an airport in some areas. These two airports excel and fail at different things, but at least they’re trying. So what are people at Provo’s airport supposed to do with their free time? When I flew out of Provo last year, the terminal was a comparatively minimalist room. If I’d had to wait very long, the experience would have become tedious. Provo’s airport is new and has so few flights that most people don’t wait around long. But the point here is merely that it’s important to think critically about the user experience. How can it be more painless? How can it be less boring? What can make it into a space that people might actually enjoy? What do travelers need while at the airport? 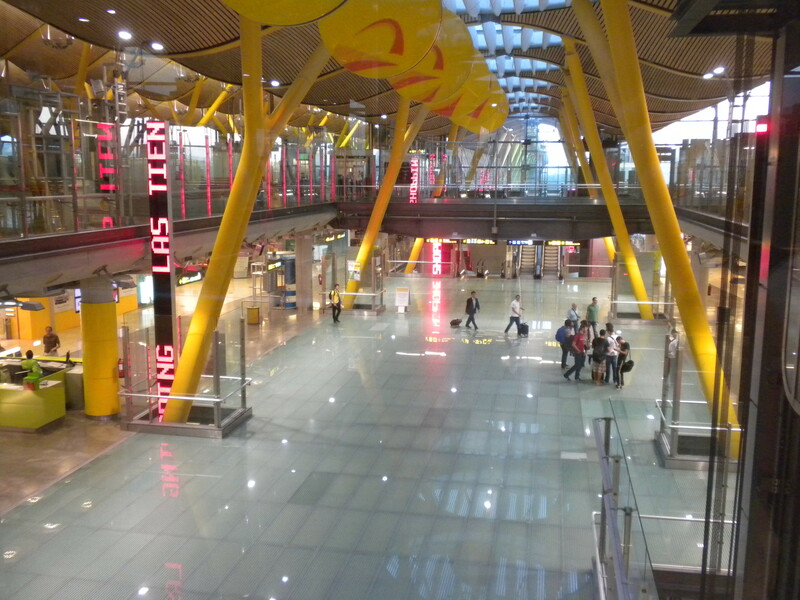 The T4S terminal in Madrid is dazzling. 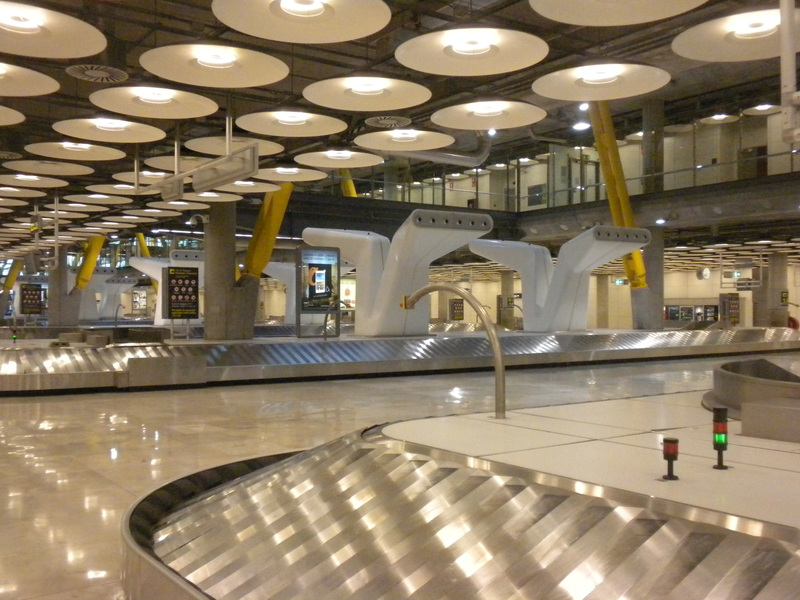 The baggage claim area of the Madrid airport. Where Salt Lake used art and New York used shopping, Madrid used design itself to combat boredom. I’m not sure how long I could have stared at this airport, wandering around its hyper-stimulating corridors, but I never reached my limit during my time there. Every airport approaches these issues in different ways, but as Provo’s facility grows in the future it’s worth thinking about ways to engineer unique, useful experiences. I went by the Provo airport a couple of days ago and made a startling discovery: travelers cannot buy postcards or other Provo memorabilia because, at least at that location, none exists. Maybe I missed it somewhere, but after searching I couldn’t find a single postcard, magnet or anything else depicting Provo. Given the numerous amazing photographers in the city and the many photogenic locations — the mountains, downtown, the river, the lake, the arts venues, etc. — I really couldn’t believe that there wasn’t a single postcard. Instead, there were several for Salt Lake City, and even some from Moab. 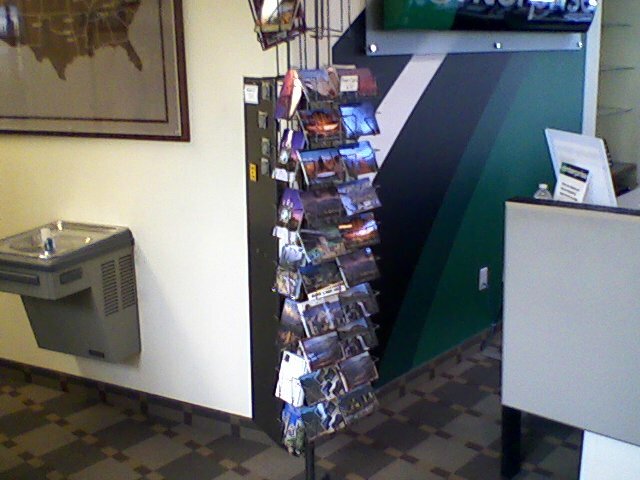 These postcards are at the Provo airport and depict Salt Lake City, Moab, and other locations. But not Provo. I didn’t have my camera, so this cellphone picture will have to do. This seems like an obvious and easy problem to fix. And though a small issue, it’s an important one because postcards and similar merchandise spread the word about the city and signifies an underlying sense of geographic pride.